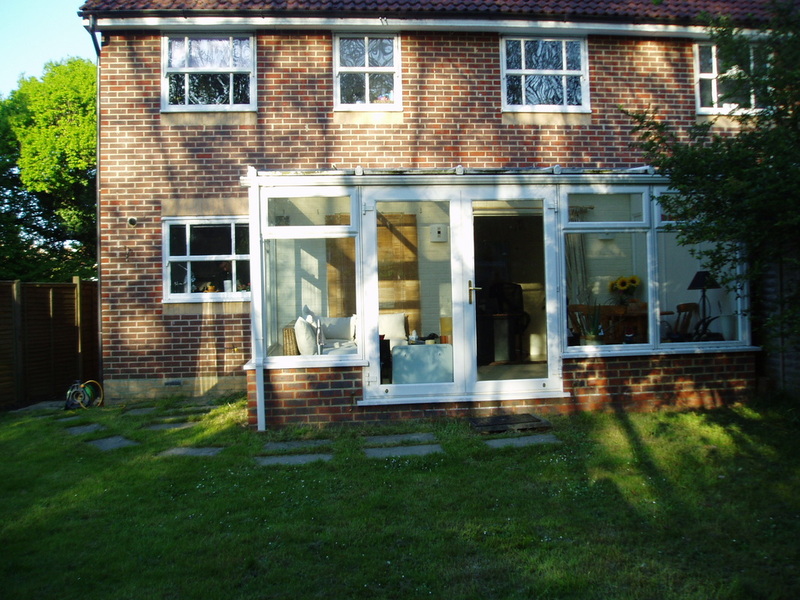 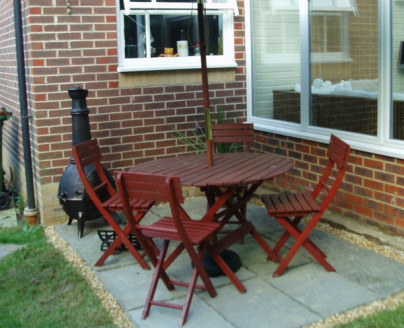 The patio area was too small for entertaining and the garden lacked shape and colour. 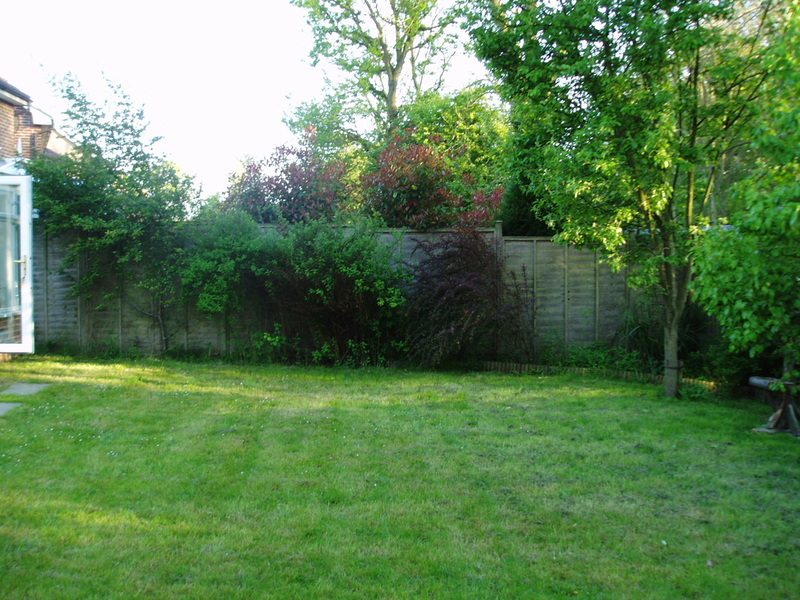 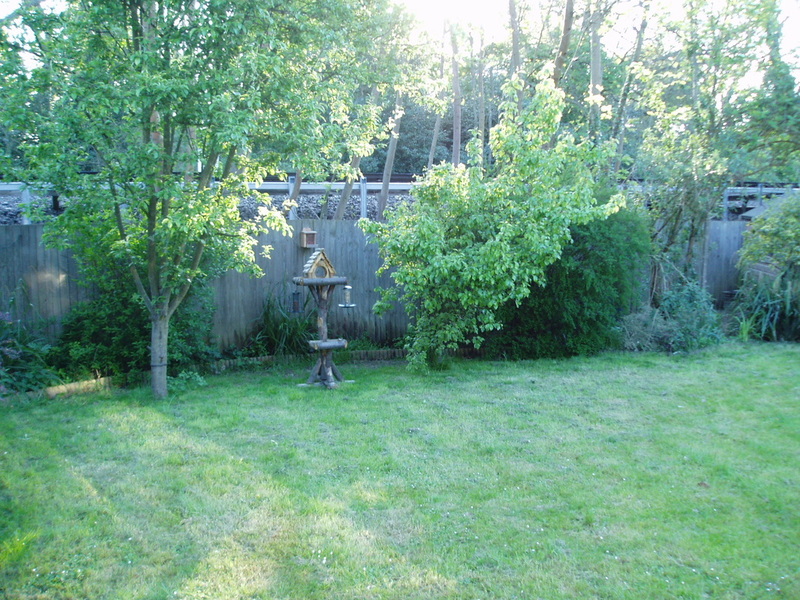 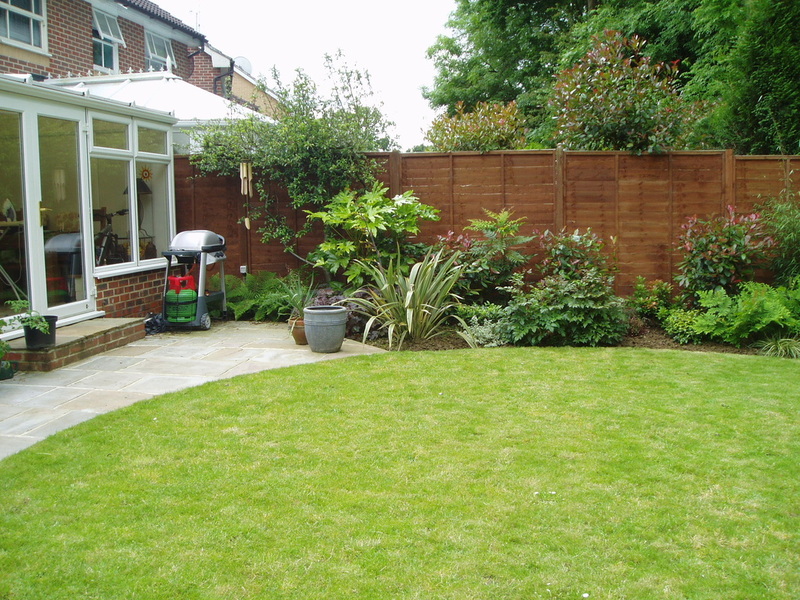 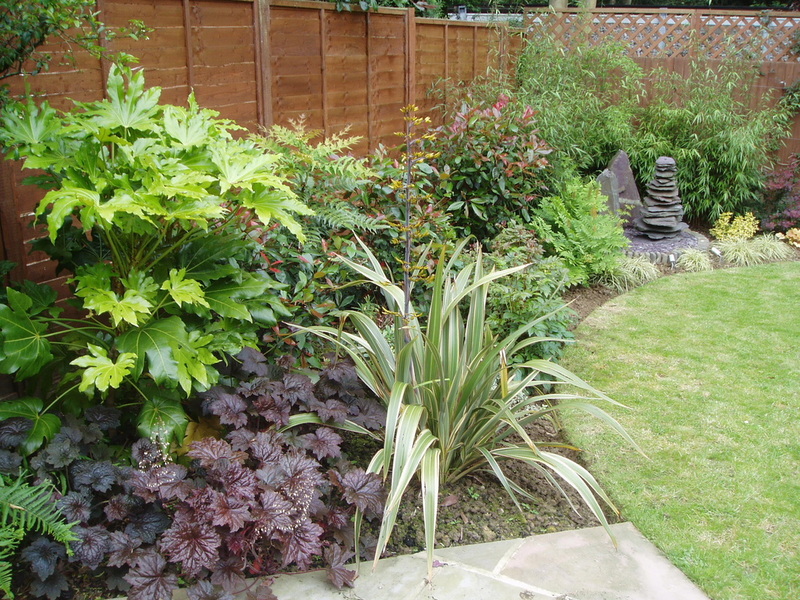 To improve the shape of the lawn area, create flower beds full of colour and interesting foliage all year round. 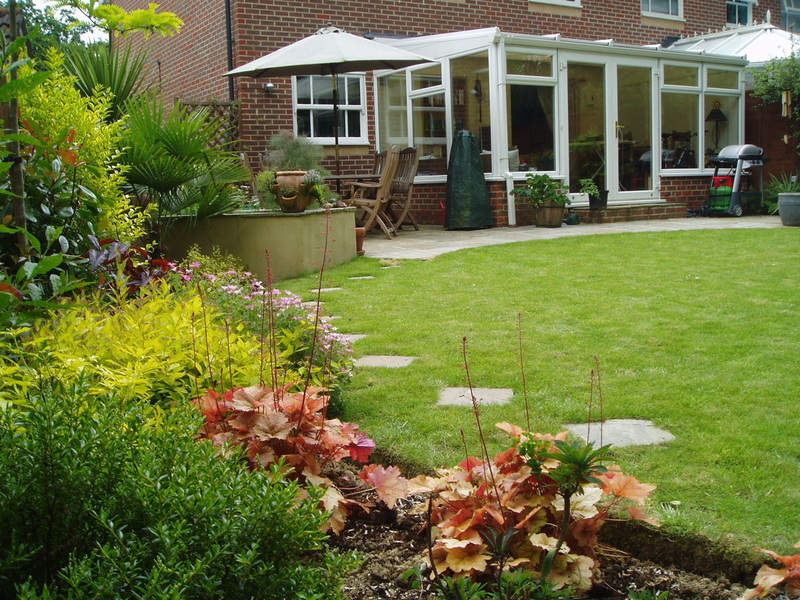 To include a raised, rendered herb bed (this could also provide additional seating), a slate monolith water feature, lighting and a larger patio for entertaining.